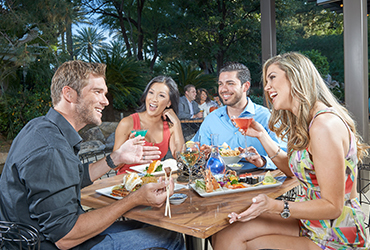 Rampart Casino at The Resort at Summerlin offers a wide range of Las Vegas fine dining restaurants and casual menu options, all delivered with the famous JW Marriott style hospitality. Treat yourself at one of our signature restaurants, or travel around the globe one plate at a time at the Rampart Buffet. We also offer fine Italian cuisine and teppanyaki-style dining, plus all-American favorites 24 hours a day at the Promenade Cafe.